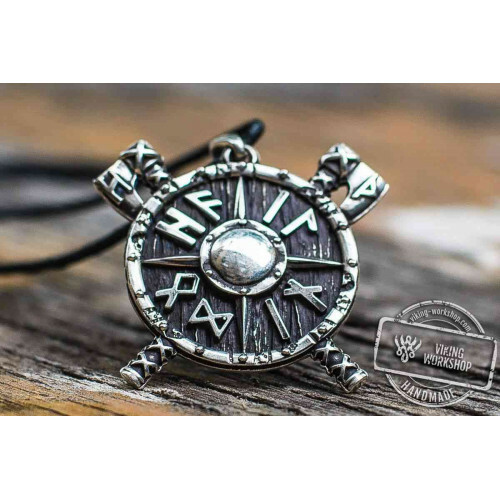 Artifacts with the black sun symbol were very popular among the ancient Vikings. Both brave warriors and their loving wives were wearing them. 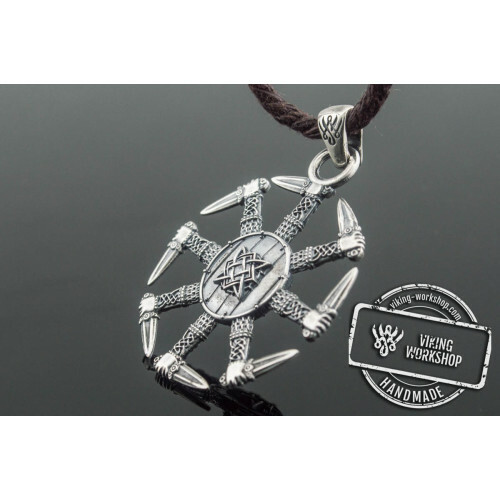 Every man and woman with this adornment on was bearing a huge responsibility. 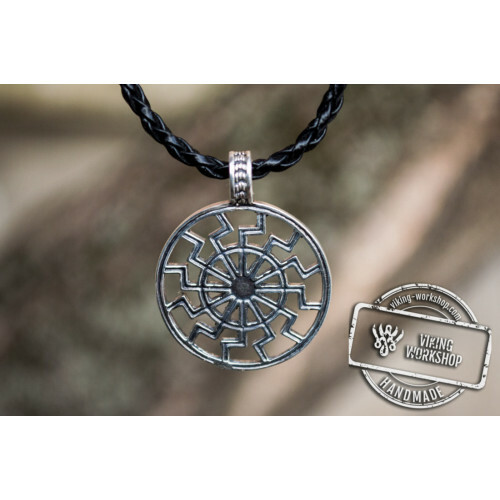 Any disrespect towards the black sun symbol was strictly punished by the supreme forces, as eloquently confirmed by the defeat of the Third Reich that widely used this symbol. 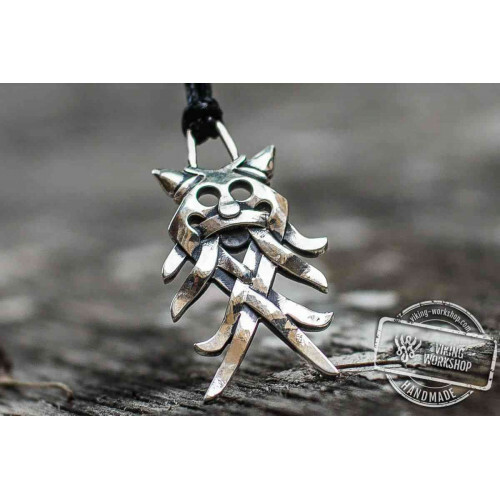 Can the Black Sun actually affect the fate of the people or is it just myths? 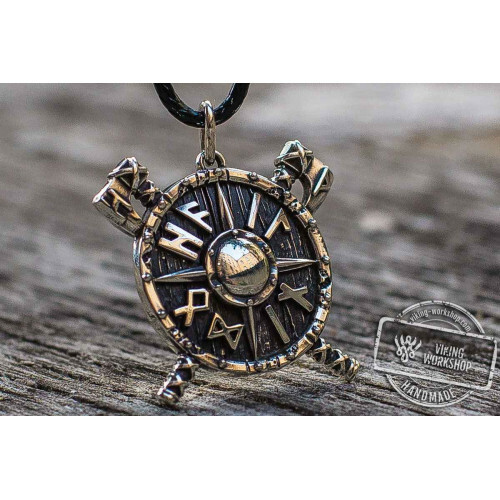 Everyone is entitled to his own views on this matter, but the number of those willing to order Black Sun Symbol with Runic Calendar Bronze Pendant or its analogue Black Sun or Schwarze Sonne Symbol Bronze Pendant without runic calendar is rising every year because such pendants are extremely beautiful accessories. 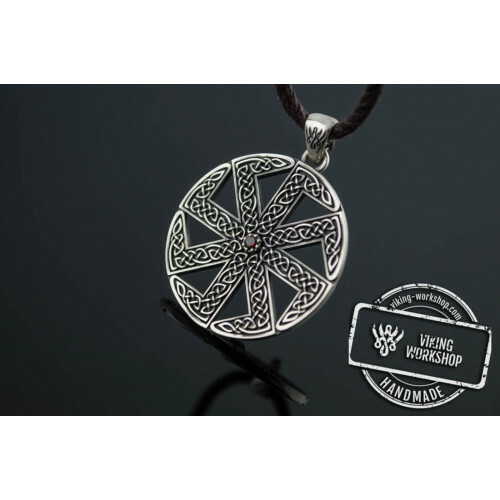 They go especially nice with Black Sun Symbol with Oak Leaves Sterling Silver Viking Ring. 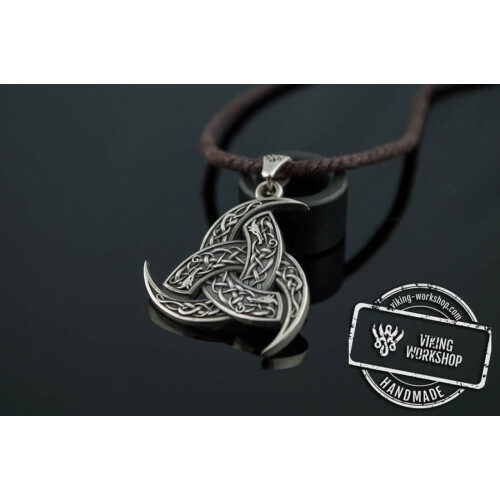 Handcraft of Black Sun Symbol with Runic Calendar Bronze Pendant viking-workshop is highly valued by our clients. 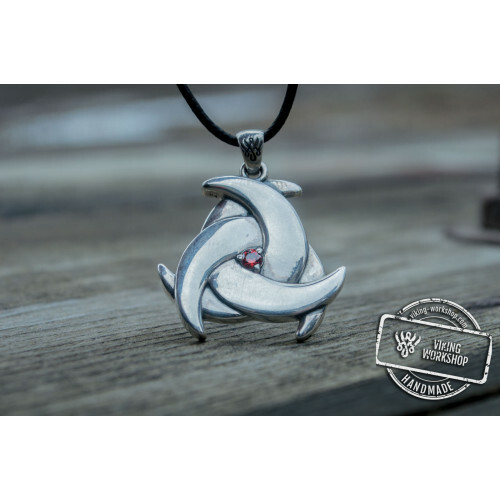 Our masters put both their talents and heart into each pendant, so you will for sure get not only a stylish adornment, but also a powerful amulet with which you can surmount any life obstacles. 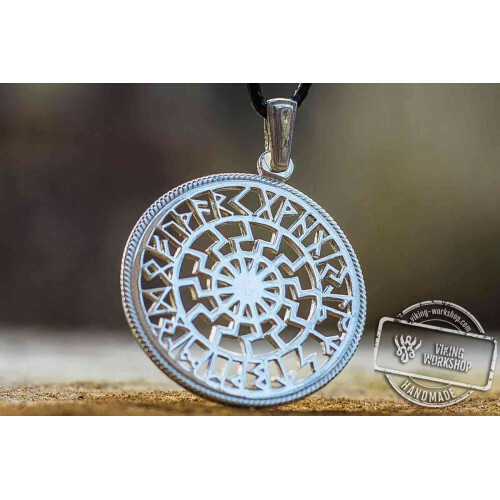 Each our client along with the Black Sun Symbol with Runic Calendar Bronze Pendant receives a stylish branded box in which you can present this pendant to that special someone.